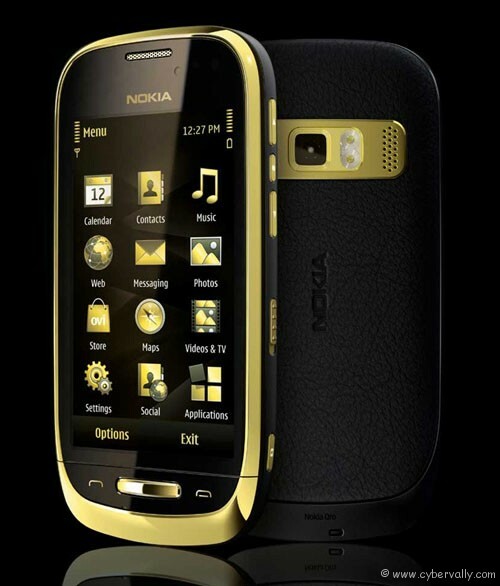 Nokia unveils its first ever premium smart phone , the gold-plated Nokia Oro. A geeky device that comes with 18 carat gold plating, a sapphire crystal and leather lining, as well as a number of high quality features. 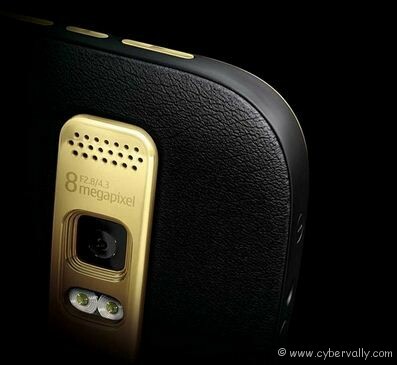 The phone comes with an upgraded Symbian Anna OS that gives it better browsing performance and support for Flash 10. The phone comes in two color sets, a black-and-gold number that features black leather at the back, and a white version that sports a light tan leather back. The back cover is covered by finest quality Bridge of Weir leather, which is actually the best leather material available in market. The main markets for the smart phone will be the Middle East, Europe and China.